One of our highly sought out Anglers at Sombrero Canal Front Townhomes with a private pool! Just minutes to the stunning Sombrero Beach, this Villa-style home is perfectly located in the heart of the Florida Keys. This Newly built villa offers beautiful views of the canal and surrounding neighborhood. 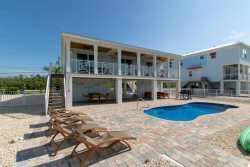 Island Living at it's best, this home offers a beautiful pool and covered patio area to lounge the day away, or you can enjoy the beautiful islands of Marathon by boat and dock right outside the back door from your 30" private boat dock with a fish cleaning station. Indoors you can relax in the lushly furnished living area with a modern-style Anglers design, and steps away you could enjoy water views from the balcony. Need to catch up on e-mails or get some work done while on Vacation? We have you covered with high-speed internet throughout the home! The comfortable living area features a large flat screen smart TV with sound-bar, DIRECTV with NFL Sunday Ticket and AppleTV. REELaxation is centrally located and perfectly designed for all of your Florida Keys adventures. Guests enjoy the fully equipped gourmet kitchen allowing them to cook a delicious meal while entertaining guests. You and your guests will rest easy in two immaculate king bedrooms, each with en-suite bathroom. 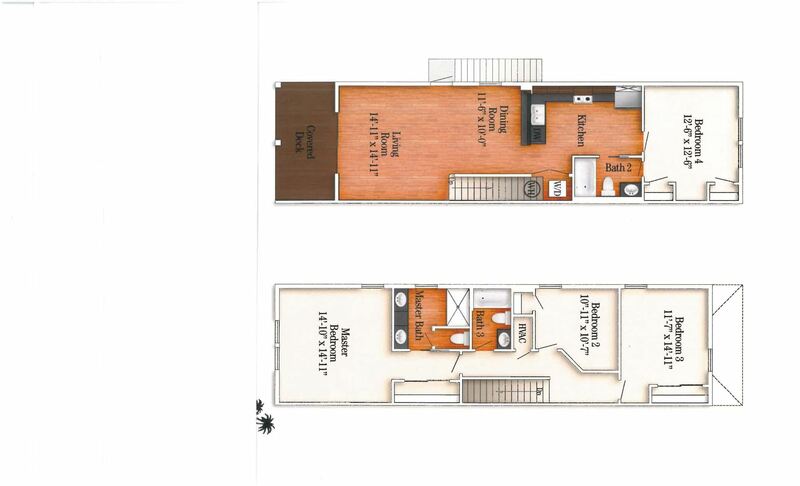 The additional queen bedroom will have you dreaming of the Gulf Stream and the smaller mariners will slumber in twin-on-twin bunks with an additional twin pull-out trundle. Each bedroom is equipped with a flat-screen smart TV. For your convenience, a full-size washer and dryer are included in the unit. Marathon is in the heart of the Florida Keys, close to the Seven-Mile Bridge, from which you can enjoy amazing sunsets at the Sunset Grille. Within a mile, you will find everything from groceries and shopping to dive gear. Discover great local Marathon flavor at Franks' Grill, Keys Fisheries, Sweet Savannah's and many more. If you're not heading offshore, Marathon is extremely bike friendly. You can kayak and paddleboard off the dock in the safe, protected waters of Sisters Creek. Nearby vendors will deliver your rentals. Local features like the Turtle Hospital and unique shops are "must-sees" for onshore days. After a long day of exploring, fishing or laying out and soaking up the sun, you can enjoy some downtime at your "REELaxation" Vacation Home Paradise. •SUNDAY TICKET on DIRECTV which includes RED ZONE and FANTASY ZONE for all of the Football enthusiasts viewing pleasure! When I sent a text, they responded right away, every time. Beautiful home and had everything we needed.